Egypt is the most populous country in North Africa and the Arab world with a population of 89 million. Despite being classified as a middle-income country, Egypt faces a set of long-standing development challenges. More than a quarter of the Egyptian population live below the poverty line, of which 3.7 million are considered extremely poor and cannot meet their minimum food needs. There are 1.6 million children in Egypt involved in hazardous work; poverty continues to prevent their access to education. While food is adequately available in markets and production has seen an upward trend over the last ten years, Egypt remains highly dependent on food imports and remains the world’s largest importer of wheat, thus it remains highly vulnerable to fluctuations in global commodity prices. Egypt is also home to more than 115,000 registered Syrian refugees, the majority of whom live below the poverty line. WFP has been operating in Egypt since 1968. The UN agency’s operations in Egypt are designed to respond to the country’s long-term food and nutrition insecurity as well as providing funding for social safety nets, including school meals and mother and child nutrition. WFP employs a comprehensive package of technical assistance in which national institutions are partners in development. And in line with government priorities, WFP will continue to support the capacity of national institutions to reduce poverty, food insecurity and undernutrition. 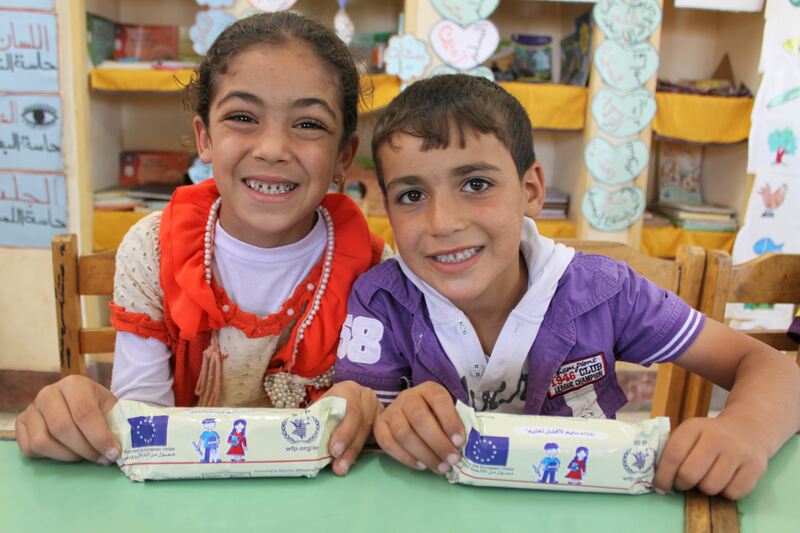 As part of these efforts, WFP provides school snacks and take-home rations to enhance children’s access to education and help combat child labor. WFP aims to expand these school feeding activities across 16 governorates to reach 1.2 million children and their families by 2017. The agency targets girls living in rural areas, as they are less likely to attend school than boys and girls in urban areas. Syrian and Palestinian refugees in Egypt receive assistance from WFP in the form of a monthly food voucher, which supports the local economy through partner markets and affords refugees greater dietary diversity, choice and dignity.